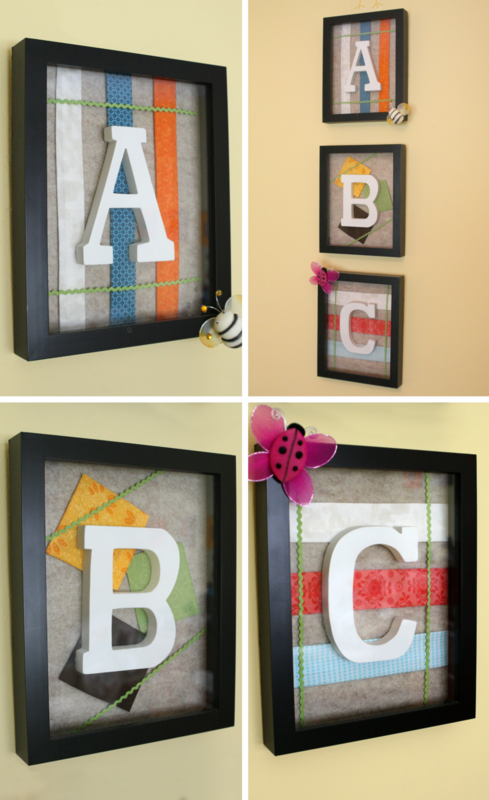 Here's a little project that's quick and easy enough for anyone, even the not-so-crafty momma. Although, I swear there's something about becoming a mother (or other exciting, life changing event like planning a wedding) that brings out the creative side in people who thought they never had a creative bone in their body. 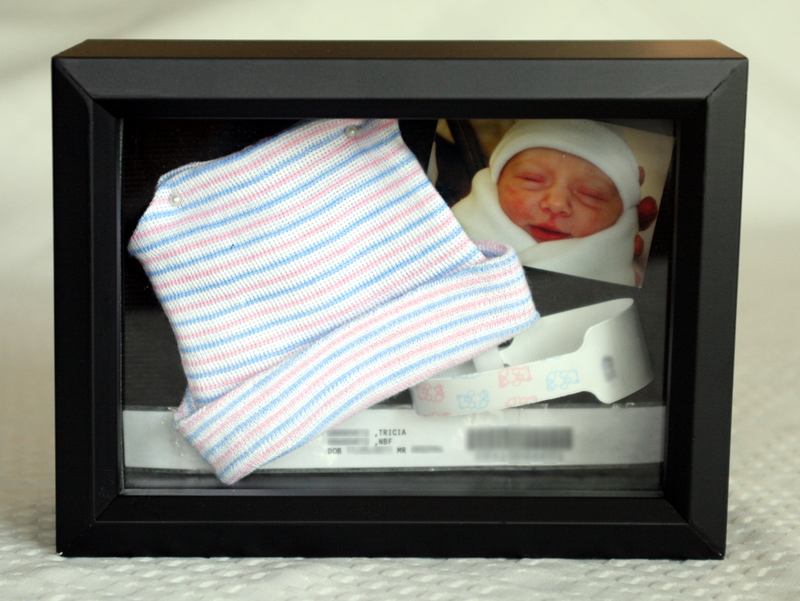 This simple shadow box displays a few of the items from Myla's birth: the hospital bracelets, the little hat she wore for those first few days and a small picture of her in the warming blanket and hat, with her cheeks still pink. This shadow box sits on her bookshelf and is a constant reminder of that amazing day and a reminder of how tiny she was. Sure, it may not be as "creative" as many of my other projects for her, but it's special and sentimental and something to be cherished. In the beginning, I really wasn't sure what I wanted to do with these items but I knew that I didn't want a huge shadow box on her wall with many items, or to make a scrap book that would be put away and out of sight, or to pack them away in her Memory Box where I keep cards, her homecoming outfit, her pavlik harness and the Balloon Bloomers I made her, among other items. I wanted these few items to have their own place and to be easily displayed in her room, or other rooms in the future, without becoming a focal point. By keeping it small, it sits perfectly on a shelf and acts as a little surprise among the books, radio, toys and dolls. As I promised in last week's post, here are the last party items I created for Myla's First Birthday: Cake and Cupcakes! I had to save these for their own post because who doesn't love Dessert?!? I had so much fun creating cupcakes for my baby shower, that I wanted to make cupcakes for Myla's First Birthday - and I felt enough time had passed that I wouldn't remember how time consuming and tiring it was to actually make them. And, especially after creating the invitations and owl lanterns - round owl cupcakes seemed like the perfect match to the theme. I used a round biscuit cutter and pre-made pink fondant for the base. Then I overlapped the cuts with the biscuit cutter to create the wings to which I applied the sparkly fondant powder to add some dimension. I used small round cutters for the eyes and black fondant powder to create the pupils. And finally, I hand cut the beaks from chocolate fondant. Ta-da! Oh, and I stuffed these with icing as well - you just have to! Lastly, every baby needs a smash cake. So why not a huge round owl smash cake? I found a ball cake mold made by Wilton. I did make a practice cake to see how much the cake would collapse down after the two halves were put together. I learned a bit from that and had better luck with my second cake. I used strawberry frosting to cover it and fondant for the wings, eyes, feather ears and party hat! All the delicious goodies on display. Yummers!!! Many of Myla's friends have just turned 2 or are about to. Myla has a little less than 4 months to go which is starting to get my brain spinning about party themes (and honestly making me freak out a little - how, oh how, did two years go by, let alone one!?!?) 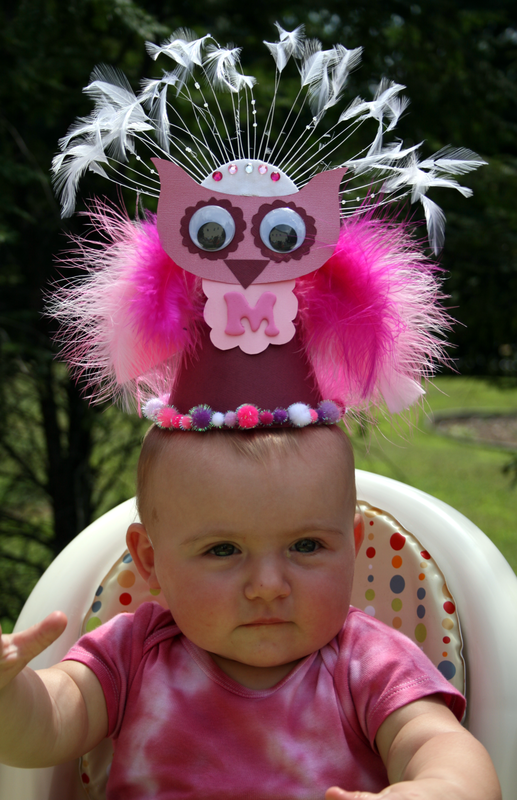 Last year for Myla's First Birthday I chose Owls for the theme… what else, right? I figured it might be the last time Myla would be OK with me going a little owl crazy and this time I could make them PINK! The first party item I made was her birthday hat. I originally made this hat for a group birthday party when Myla was about 9 months old (pictured below). I have 17 other mommy friends that I met in a Mother/Baby Talk group for new moms - we all had our babies within about 5 months of one another, Myla being one of the younger ones. Last August, we had a 1st birthday party for all 18 babies. As part of the party prep, each mother made their little one a party hat (I still can't believe how amazing they all turned out - it's awesome being surrounded by other creative moms). Anyways, I picked up some various scrapbooking paper, large google-y eyes, and feathers and got a little carried away. I can't tell if it looks more like an owl, or a headpiece for one of those show girls in Las Vegas. Ha! But I love it and I think Myla looked adorable regardless. This turned out to be the perfect launching pad to create Myla's First Birthday theme. Second party item: Invitations! I used some more of that scrapbooking paper to create them (seriously, the prints and textures of these papers are so amazing, and make doing any paper craft that much more fun). I bought some square envelopes and made sure to create them so they would fit inside. I used a rubber stamp on the back for all the party "info" and hand wrote the rest. Although these are definitely not the most professional looking invitations - I think they came out super cute which sparked my idea for her cake (you'll have to wait until next week's post to see that). Third party item: Decorations! I created Owl Lanterns to hang up around the house. Four large ones and a string of tiny ones. A fellow mommy friend of mine found this idea on Pinterest and used big lanterns to create fish for her little ones 1st birthday. After seeing those, I knew I could make owls out of them too. I used felt to create the wings, eyes and feather ears. Check back next week to see the last party items: Cake and Cupcakes!!! All parents have their own methods for choosing baby names… post-it notes, white boards, apps, family names, etc. We had a very difficult time with names. I constantly searched through apps and websites, and even movie credits, reading names to Justin - but nothing ever came of that. We chose Myla's name sitting at dinner one night listening to music. "A Song for Myla Goldberg" by The Decemberists came on and immediately, we both looked at each other and said - that's it! We had already discussed middle names knowing we wanted to honor a grandparent - but didn't want to use their actual legal name. My grandmother, Loretta, used to go by Lottie in her early years. Therefore, we decided on Myla Lottie for a girl. 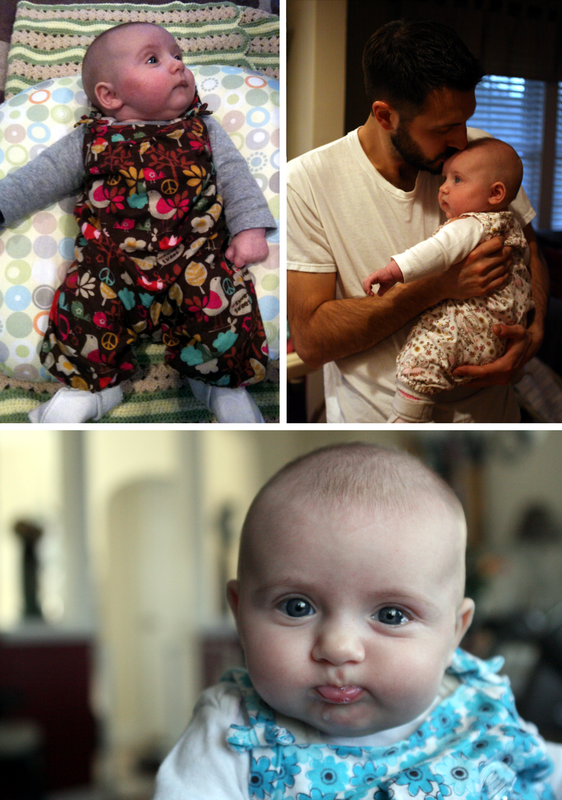 We never fully decided on a boy's name - good thing we had a girl. It was Thanksgiving Night after I went to bed, and after a big meal and a glass of wine, that I went into labor (before my scheduled c-section a few days away). After denying that I was actually having contractions, we made our way to the hospital in the middle of the night. Once there and they confirmed my contractions - I was told I'd be having this baby in about 45 mins. My parents came by the hospital to see me briefly before I went into the OR. I remember turning to my mother and saying "this day is the day that gramma past - 4 years ago". She turned with a smile, and a tear in her eye, and said, "yes it is". Justin turned to my mom and said, "if that's the case, it's gonna be a girl." Neither Justin nor my Mom knew that I had once asked my grandmother before she passed to give me a sign after she goes that she was still with me. I said it couldn't be just any sign - I wanted her to slap me up side the face with a sign. I couldn't have asked for a sweeter or more amazing and blatant sign than Lil' Miss Myla Lottie herself who arrived exactly 4 years after my grandmother had passed, just about to the minute. After we brought Myla home, I wanted to take her gender neutral bedroom, and girly it up a bit. I always wanted to decorate the letters of her name for her wall. At first, I was going to do some funky patterns or continue the owl theme, but then decided that I wanted this to be something to grow with her beyond her nursery. I bought the letters at Michaels and used Martha Stewart pearl paints. I kept the brush strokes even in a diagonal direction to keep them uniform and dotted light pink around the edges. I simply glued the light pink ribbons to the back and hung the letters on nails. To keep those pink dotted bows at top looking good - I cheated and hot glued them to the nails once the letters were hung. M to the Y to the L to the A… Yay!!! I do! She's one crafty lady always finding some of the best little projects around. And what I love even more is that she inspires me and gets crafty with me. She isn't the type of person to buy a lot of generic or store bought decorations and invitations when it comes to parties and showers. She either finds something unique or makes it. When it came to my baby shower, she was looking for something fun to make as a centerpiece that also fit with the season... and that wasn't overly "baby". As you can probably tell, I'm not into the whole light pink or light blue scheme - and if the entire shower was decorated in Pepto pink, you could be sure that I certainly wasn't feeling myself - or it was definitely not my idea. My mom had been searching for owl related crafts and came across these clay owls. Super easy to make and super cute - we just added a hole at top in which we threaded some ribbon through (and added some pretty eyelashes to about half of them). My baby shower was held in October when leaves were beginning to change. We collected some branches outside and glued some artificial maple leaves in red, orange and yellow to them. I arranged them in a flower pot with some raffia (one of my favorite craft materials when making anything "natural"), and hung the little owls with some ribbons. There are Mommy and Daddy owls along with girl and boy owls all perched around the branches. Since this centerpiece doesn't scream "baby", it also makes a cute decoration during the fall season - a nice little reminder of the birth of my baby girl. 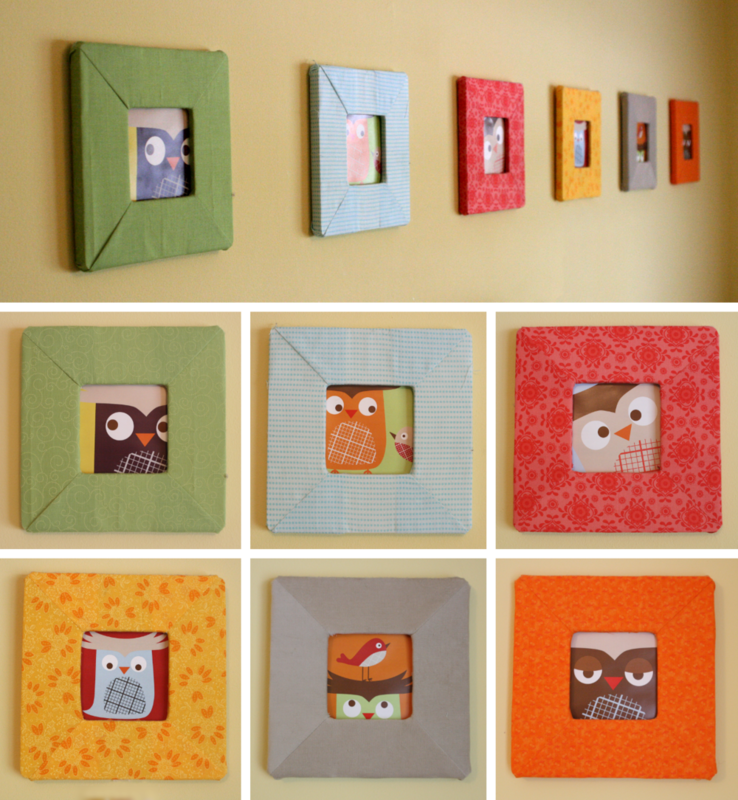 The theme for Baby K's shower: Owls! What else? I had always wanted to try working with fondant and I love cupcakes. Figured I would help out my mother and sister with my baby shower by making owl themed cupcakes. I bought the ingredients, wrappers, white and chocolate fondant, color fondant powder, various cookie cutters, little candy eyes and decided to just wing it the day before the shower. It should be just like play-doh, right? After baking the cupcakes, and filling with frosting, I got to work on the fun, but extremely time-consuming, task of decorating. 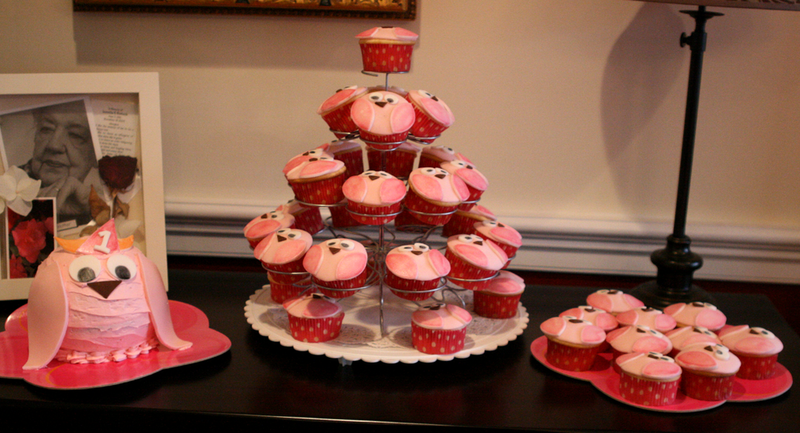 I used a round biscuit cutter to make the white circles to cover the tops of the cupcakes. Next, I used a tulip shaped cutter for the owls, and later removed the middle pedal with a knife. Turned out it made the perfect size owl to which I applied the candy eyes. I used a knife to cut out all the branches and beaks, and a small leaf cookie cutter. Then using the powdered fondant color, mixed with a tiny bit of vodka, I painted the beaks and the leaves. The brush strokes gave a bit of dimension to the leaves. I absolutely loved how they turned out, but also couldn't believe how long it took to make and decorate two dozen cupcakes. Let's just say when this momma-to-be was done decorating, she couldn't wait for bed. For as long as I've known my mother, she has always shied away from the camera... including when she was pregnant with me. Growing up and looking through albums, I always wished I had seen more pictures of my mom with her baby bump. I wanted to make sure to document my bump for Baby K and decided to create my own album using Blurb. With the help of a friend and Justin, I was able to get some nice pictures along the way during those 9 months. 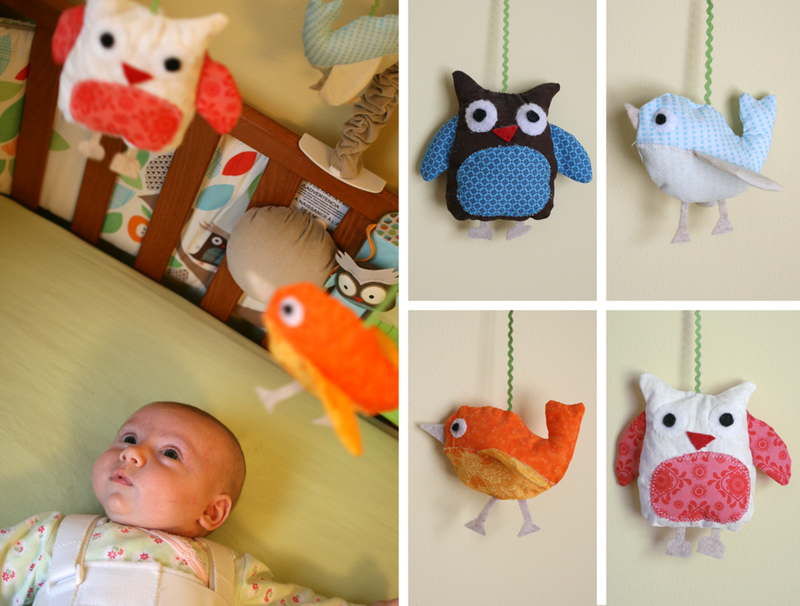 I also used the owls and birds I illustrated for the wall decor in the nursery in the album and added in some ultrasound and delivery day images. I finished the book off by pasting in Myla's footprints. View the contents in the Baby Bump Book gallery. 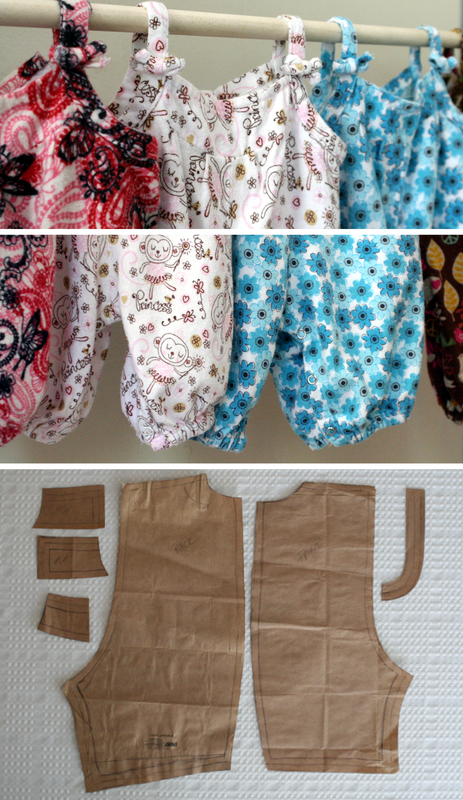 While looking up all sorts of baby stuff, I came across pictures of handmade appliqué onesies, which inspired me to make some for Baby K. I found fusible webbing called Steam-a-Seam that was perfect for doing just this and it didn't require any sewing! I used the "Lite" version - the softer the better for baby. And, I finished the edges with Fray Block. It was really easy and fun and would make a great baby shower activity for a creative group of ladies. After making the bird and fish onesies below, I wanted to appliqué everything like this. Oh the possibilities! 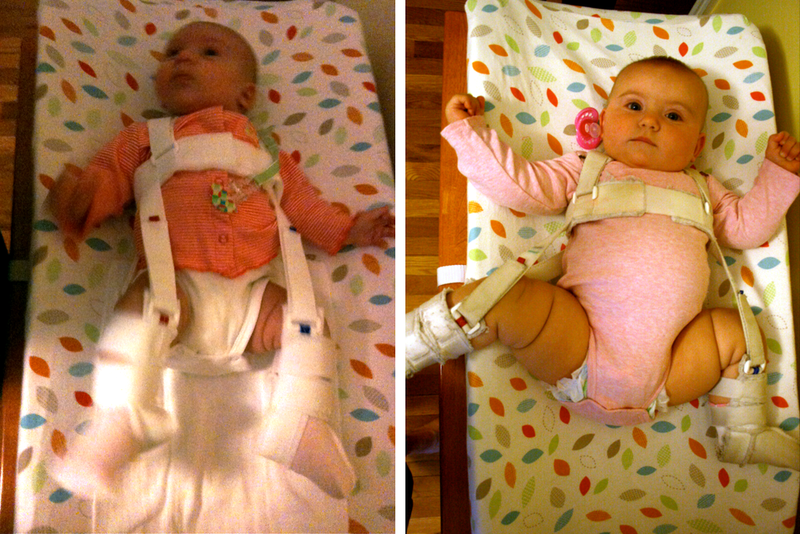 After Myla was born, I made the additional two onesies with flowers and a butterfly.